Almost every writer suffers from mental block once in a while. It does not matter whether you are new to it or you’ve had experience writing, there are times that your mind will refuse to work. For those who have been in this profession for a long time, they have come up with ways to counter what is commonly known as writers’ block. It is a craft that requires one to possess remarkable will and resilience for them to be successful. Renowned writers have devised bizarre traditions and habits before starting on a novel or article. According to them, they stand out from the rest because of these traditions they follow. The trick is in what drives you to want to reach your full potential and also puts you at ease and in the right mind frame to work. Mastering a daily routine could be the key to unlocking your full writing potential. Here are some of the things accomplished writers do before starting to write. Alexandre Dumas is a successful French author best known for his books, The Three Musketeers and The Count of Monte Cristo. For him, he uses a color-coded system during his writing. The colors guide him and also tell him which genre he is working on at the time. Pink was for non-fiction novels, yellow for poetry and blue represented fiction. For him, it was a simple yet effective way that helped him come up with some of his best works which up to date continue receiving critical acclaim. 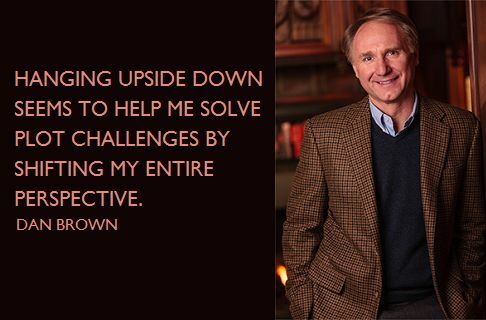 Da Vinci Code is one of Dan Browns most successful books. But even a writer of his caliber experiences writers’ block. For him, hanging upside down, which he refers to as inversion therapy, is what works. It relaxes him, and his concentration on work gets heightened after a session. Hanging upside down also gives him inspiration for his writing. It is a weird habit, but it helps him a lot. That’s not all, he also has an hourglass next to him while he works and after each hour, he does sit-ups and pushups. It may sound strange, but these behaviors have made him into one of the most recognized authors of our time. He came up with this habit when the deadline for his book, The Hunchback of Notre Dame was fast approaching and the manuscript was not complete. So what this genius did was instruct an employee to confiscate all his clothes to prevent him from leaving the house. Even when the weather was cold, he did not falter in his resolve and only covered himself in a blanket during the cold periods. As superstitious as it may sound, the author of A Christmas Carol and Great Expectations would carry a compass with him to know which side is north while he slept. For him, this would improve his creativity while he wrote. Charles Dickens’ writing ways were not just entertaining, but he also brought to the forefront socioeconomic conditions that were facing people at the time. He let his moral compass guide him in his writing and used a navigational compass to guide him in his sleep. January 8, 1981, is when Chilean American author Isabel Allende started writing her first book. The House of the Spirits at first was a letter to her grandfather who was on his deathbed and later transformed into a novel. The book became a success, and it’s due to this that she always starts her books on January the 8th. After solidifying her place as one of the best authors, she now adheres to this date and all her friends and family know not to disturb her on this day. It is a day that she can work in complete solitude as there are no distractions and her creative juices can flow freely. She goes through what she writes during the day an hour before dinner, with a drink in hand. She adds what she has left out, and removes what is not necessary. When she wakes up, she then redoes what she did the previous evening. When she is engrossed in her work, she does not go out or invites people over as she will then lose the hour she does her thing. As she nears the completion of a book, Joan sleeps in the same room as the book. For her, this ensures that the book, its contents, and the flow do not leave her, and she can wake up at any hour and continue with her writing. Her productivity gets heightened when she spends time in a fictional world looking for inspiration. For her, it’s not about the word count as there are times she will come up with large volumes of work and others not so much. The focus is a key to her, and she writes her best when there are no distractions that take her away from the fictional world she is writing on. For her, someone may spend hours writing, but due to distractions they may write a lot of words, but the quality is not as good. She does not even look at how the work is coming together but writes continuously and only edits her work later. According to her, this helps her be a better writer. She knows and has accepted that there are times one will have to throw away a large percentage of their work, but this is not a bad thing. She believes that a person needs to enjoy that moment they are writing, and only bother about the outcome at a later date. For him, your bedroom should be private, a place where you can go dream and come up with great ideas for your writing. Just as people follow the same rituals every day, so should they in writing. 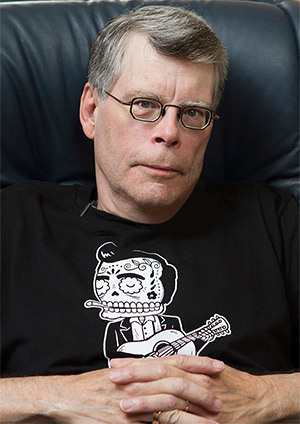 Stephen King believes in preparing himself to dream before sleeping. As we are still during sleep, we should also be when writing. He trains his mind to think creatively during sleep. It is achievable since we can train ourselves to sleep for a certain number of hours as well. He believes that the vivid dreams he has can transform into successful works of fiction. That’s why the privacy of his bedroom is important as he does not want to be disturbed while he is dreaming of a bestseller fictional story. The mind frame and space that you’re in is vital in the writing process. One thing that we can take from the rituals these writers have is they do them to relax. These habits increase their creativity and put them in a writing zone for them to come up with excellent materials. If you are an aspiring writer, find that thing that helps you to relax; it may be taking a walk or just listening to music. The result should leave you inspired, rested and in a state to come up with the next big thing in the writing world.